Was this recipe helpful to you? Place the Tostadas in the dish. Spread refried beans over each tostada. Then spread the mashed avocado over the beans. Top with the salad and garnish with the cheese, salsa, olives and slice jalapeno peppers. 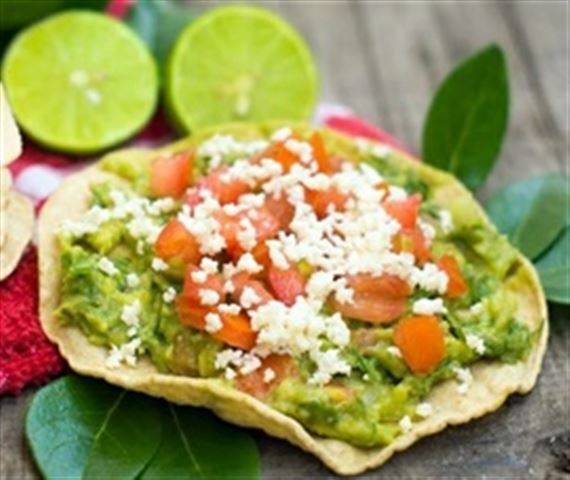 Enjoy this delicious vegetarian tostadas Mexican recipe!